Micro-greens have been popular in fancy restaurants since the '80s, and if you were lucky, you could find them in specialty grocery stores (at $30 a tray!) but it is possible to grow them at home. A micro-green is essentially a seedling of edible vegetables and herbs. These tiny greens are packed full of vitamins C, E, K, lutein and beta-carotene. They are also FULL of flavour! 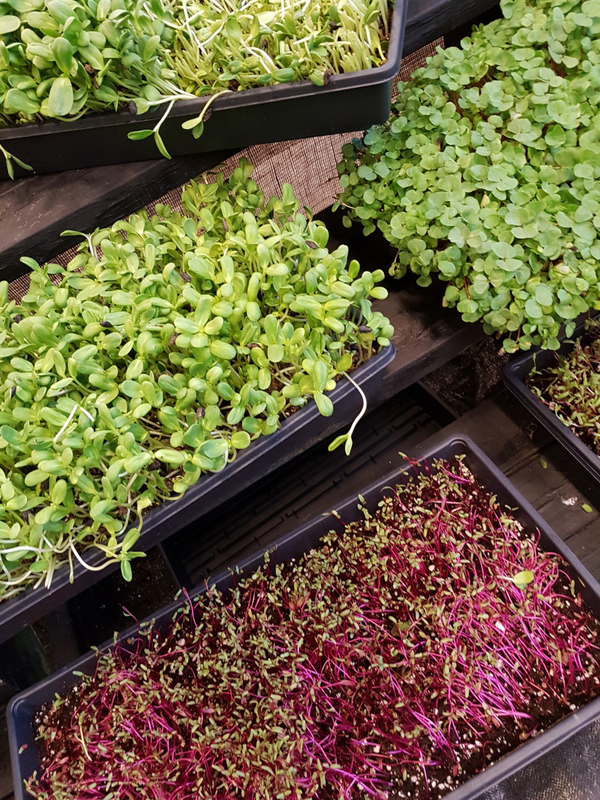 Whether you throw a few micro-greens in a salad, a smoothie, in your sandwich or in a wrap, it's easy to work micro-greens into your diet. Micro-greens can be grown in your home or apartment (or even a tiny house!) as long as you have access to water and sunlight. By growing them indoors you have complete control over their care; no pesticides or environmental factors will be an issue and, in just 10 to 14 days you will be feasting on your crop. For full instructions on how to grow your own micro-greens, have a read of this article.